In a friendly and focused atmosphere, which has been held for two days, we have evaluated the slowly ending year of KineDok. But mainly we started to assemble the collection for 2018! KineDok Screening, Q&A and Drink open for public will take place on 9 March at 9pm in the multifunctional space DUP36. A playful documentary, which was shot during 9 years, Moonwalk with Grandpa (Til månen med bestefar, Norway, 2016, David Alræk) will be screened. The story about the director’s grandpa, a big adventurer and inventor, who remains to be a big source of inspiration for David Alræk, despite his worsening dementia, is full of humour and adventure. The KineDok First Screens Conference will discuss possibilities of professional exchange of social and current issues orientated documentary films made by young filmmakers. The aim is to extend and strengthen connection between film schools in different European countries. Lectures, case studies and presentations will introduce the latest distribution strategies in order to inspire participants and initiate student distribution movements which will serve the international film culture to develop, grow and sustain itself by bringing the cultural value over the borders. New partner in Bulgaria, new exceptional films, new experience for the audience. In 2017 you can expect more than 1000 screenings of 16 creative documentaries across 8 European countries. Award-winning directors are ready to travel and meet the viewers. Long list of wonderful guests for discussions after the screenings is ready. KineDok is waiting for you at your neighbourhood. Check the screening places, search through the list of films and meet us at the screening. of 16 European creative documentaries at interesting venues accross 8 European countries (BG, CZ, HR, HUN, NOR, PL, RO, SK) during the whole year 2017. KineDok screenings in Bergen within Bergen International Film Festival went really well. 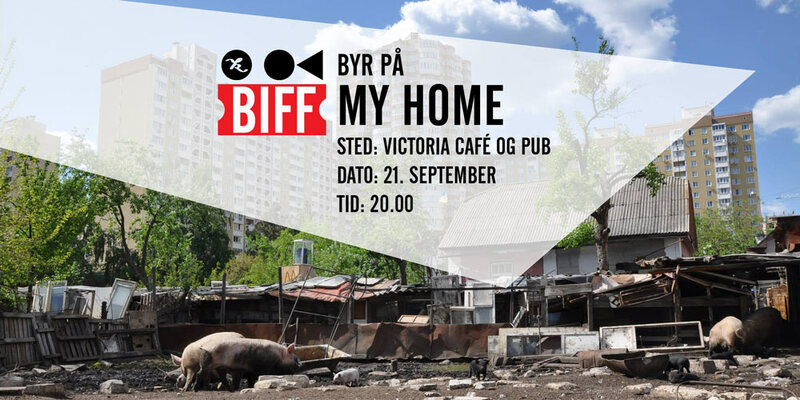 Thank you Jiří Stejskal and Blazej Kafarski for inspiring Q@A's with the audience at Victoria Cafe & Pub and Chillout and also nobel bopel for hosting the screening of Domino Effect film. KineDok has 2184 Likes on FB already!!! 5 October A quiet story about a man waiting for an important surgery. Cinema, Mon Amour Every cinema has a story - a tale of loneliness, friendship, hope and unfulfilled dreams. A Mere Breath 7 years of family love versus love of God. FC Roma Documentary tragicomedy about a football club, which almost won a whole football league despite kicking the ball just few times. Cain's Children Three men - 3 murders - future -reality! End of the World The night, the city, the conversation. A radio journalist takes emotional calls from listeners while ER dispatch listens to the sounds of human tragedies. Both on air, they are somehow connected. The Queen of Silence Documentary about a deaf girl from an illegal Roma settlement. Journey into the world of rhythm, dance and imagination. Normal Autistic Film Feel the world of chaos and overload your sences! That's the way to understand the fascinating and mysterious way of thinking. Steam on the River The American dream by Laco Deczi. Free Free is following a group of people with intellectual disabilities that are locked away in Croatian institutions and their path to freedom. When they leave from the institutions they start to change in front of our eyes. Moonwalk with Grandpa This movie is about how we portray ourselves for posterity and what we want to pass on from the life we live. Tourism! It’s summer once again on the Adriatic. Thousands of tourists flood the overly crowded towns on the coast, seemingly enjoying the sea, scorching heat, amusement and food. Cambridge Education comes first! That is the motto of the Roma village Dolni Tsibar in one of the poorest EU regions. Uncle Tony, Three Fools and the Secret Service Documentary that has attracted outrage in its home country for revealing the power-play and intrigue underlying Bulgaria’s animation history.